My store was located in a busy shopping mall, in the coveted lower level, between two upscale department stores, close to a hair salon and accessories store. I paid premium rent for this prime location. Foot traffic to our location was a blessing and a curse. There were always tons of people in the mall, just very few were actively buying anything. Our mall was a hot spot for retired people to walk around, and bored housewives to push their sleeping children in strollers. Not exactly the demographic for my dress store, but somebody or two had to be working during those incredibly boring, and not at all profitable, hours. These were the hours that the store was cleaned front to back, window displays were updated, and high score achieved on solitaire. Not everyone that walks in the door is a customer, most are just looking. And too many came in to try expense prom and wedding dresses on – for FUN. Young girls in Junior high were disappointed when we would not let them try on Wedding gowns; some were even shocked we said no. We had an extremely low theft rate thanks to hawkeyed employees and honest customers, but we had a very high damage rate from our guests. One Mom came in just before close, trying on multiple evening gowns, and let her children “paint” the taffeta skirts with lip gloss. No, she did not buy anything. I lost count of the greasy finger prints on dresses; there was a popular soft pretzel place directly above us and I could always tell when someone just finished their buttery snack. During the final fitting for a Bride’s special order gown, she flashed a bit too much skin for me – she was not wearing underwear. My only calming thought was that she had already paid for the dress and she was the only person that would ever wear it in my store. Broken zippers were the constant pain of doing business. The floor glittered with rhinestones & sequins liberated from their dresses. Some of the damages worked to our customers benefit. A guest’s shoe accidentally tore a hole at the bottom of a stunning gold organza gown. The hem was shortened about six inches to eliminate the hole, and I reduced the price of the dress since it was altered. I met one of my favorite customers because of this Golden dress, which was the perfect length thanks to the accidental alteration. Many beautiful Brides came in for elopement wedding dresses. One afternoon, we had a bride buy a short wedding dress for her wedding that evening. Matching the perfect dress for the customer’s desired event was such great satisfaction. 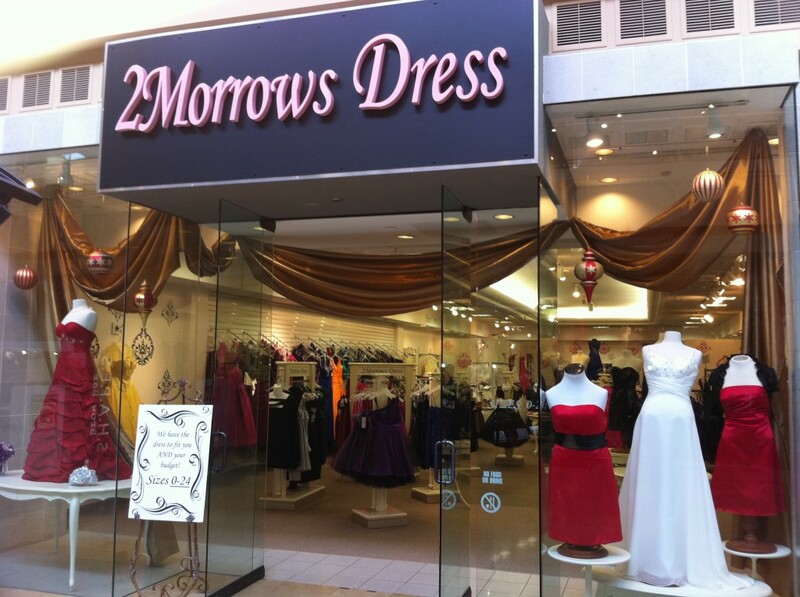 I have many fond memories of lovely young ladies finding their dream dress. I had no idea that people actually try on dresses for fun! It sounds like you had your hands full with the shop. Oh my, yes! Usually teenage girls that are too young for Prom want to try on the most expensive Wedding Gown in the store! We also had quite a few grown women that wanted to play dress up, too.